Deadline for 2018 PRNDI Annual Awards Contest March 1! Just a reminder entries are being taken for the 2018 PRNDI awards. The deadline is rapidly approaching! You have until March 1 to get your entries in. For 2018, the PRNDI Board made no changes to the awards categories or pricing. All entries for this contest must have aired in calendar year 2017. We'll once again be using the Better Newspaper Contest entry system. All entries must be submited through this system no later than the deadline of midnight EST on March 1, 2018. Full awards guidelines are available at http://prndi.org/award-guidelines. 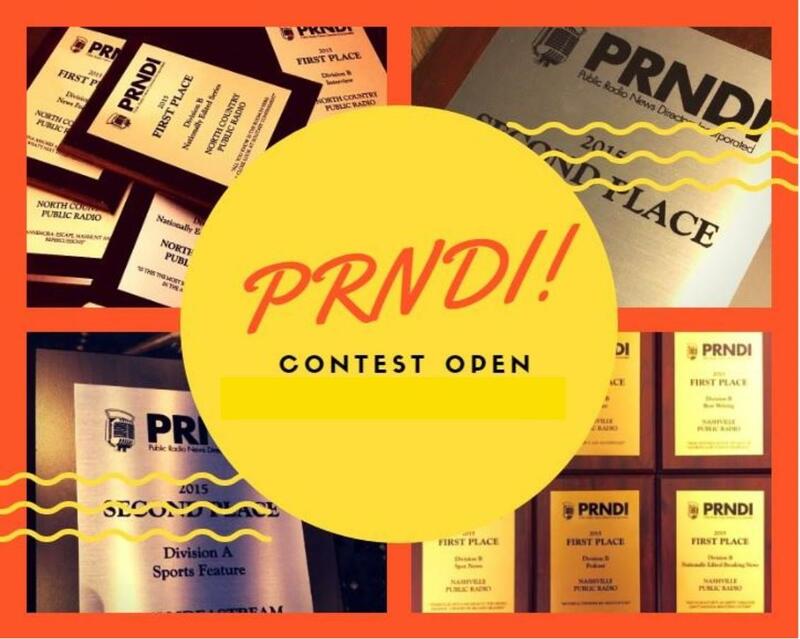 Step-by-step instructions on how to submit entries is available at http://prndi.org/online-entry-instructions. If you are interested in helping to judge the 2018 awards, please contact Christine Paige Diers. All questions should be directed to Christine Paige Diers via email at cpaigediers@gmail.com, or by phone at 605-490-3033.